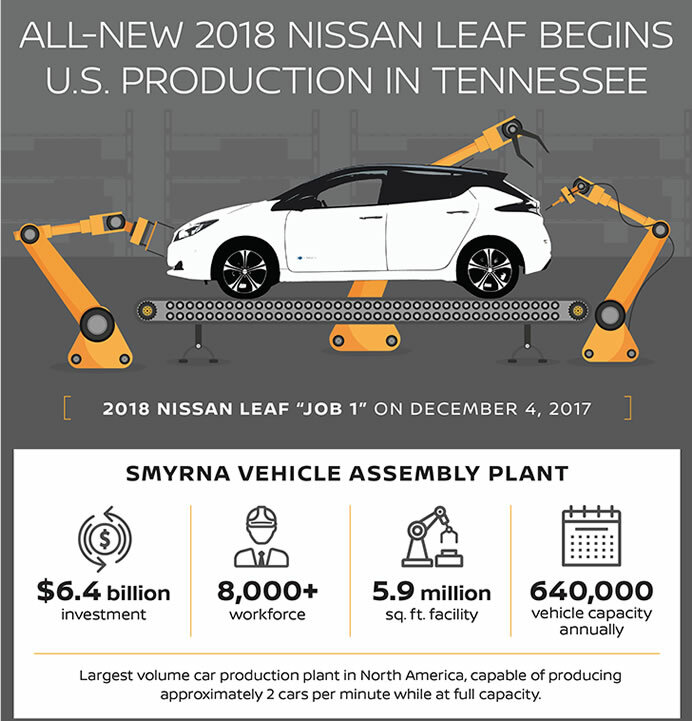 Production for the all-new 2018 Nissan LEAF is officially underway at the Smyrna Vehicle Assembly Plant in Smyrna, Tennessee. 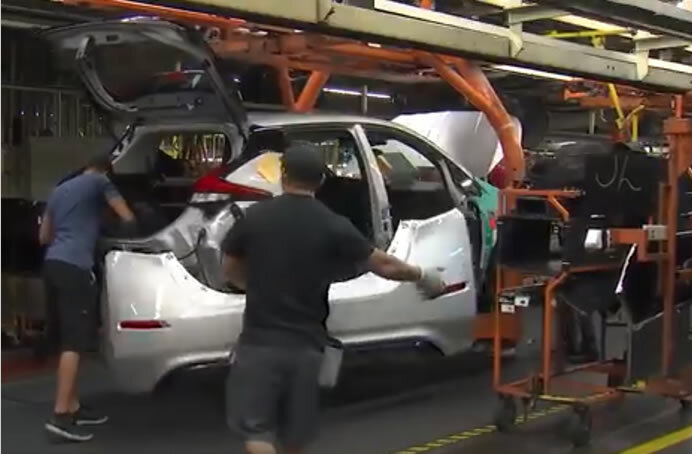 The Nissan LEAF will be available at dealerships nationwide in the U.S. starting next month. 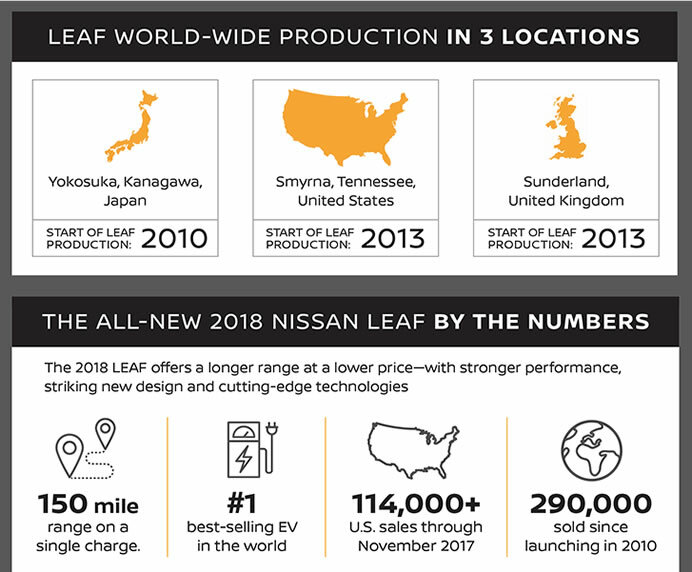 The Nissan LEAF has been in production at Smyrna since 2013, with more than 114,550 models sold in the United States since 2011. The 2018 Nissan LEAF will be available in all 50 states at launch at a starting price of $29, 9901 and its range will exceed 150 miles2 on a single charge.